Welcome to Scale Damage Louisiana Bowfishing, where we strive to assure you and your guests an exhilarating experience on the Bayou’s of Southern Louisiana which are known for providing anglers with the most productive fishing grounds in the World! 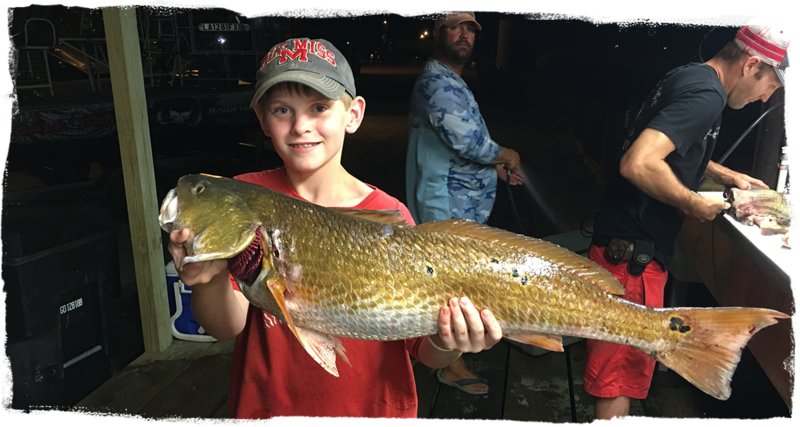 Plaquemines Parish offers bowfishing enthusiasts plenty of fertile fishing grounds to target and hit those monster redfish that Louisiana is known for. We welcome all groups, families, corporate trips and vacationers looking to try their hand at bowfishing. Your Louisiana Bowfishing guide throughout your Bowfishing Adventure in Louisiana, Captain Josh Galt, has over 10 years fishing & guiding experience. Born and raised in Plaquemines Parish Louisiana, Captain Josh knows the lakes and bayous of Plaquemines Parish about as good as any lifelong resident from the area. So you can guarantee if there are fish to be found, Captain Josh knows where to find them! 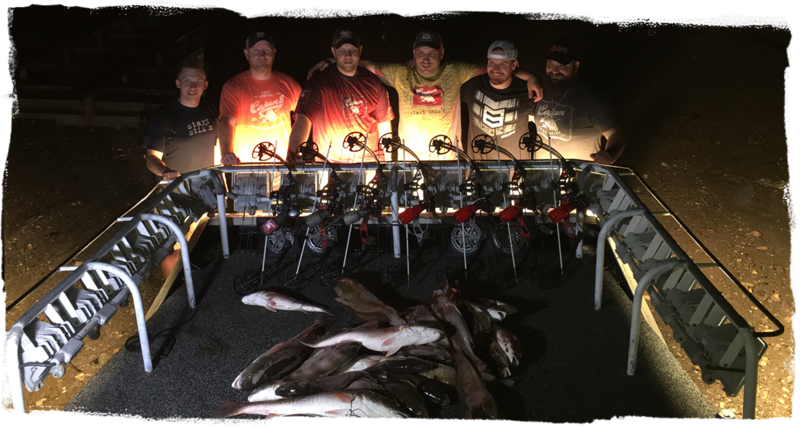 Scale Damage Bowfishing is a family owned and operated Louisiana Bowfishing Charter Company that combines the exhilaration & adventure of fishing & hunting into one exciting sport. 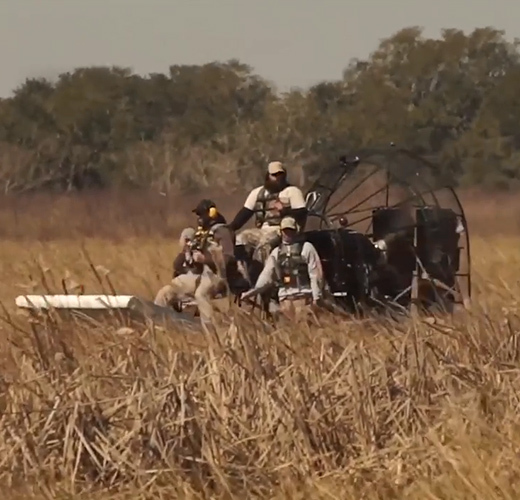 Jump aboard one of our custom rigged airboats and take a nighttime expedition through Plaquemines Parish, where the majestic Mississippi River runs into the Gulf of Mexico. 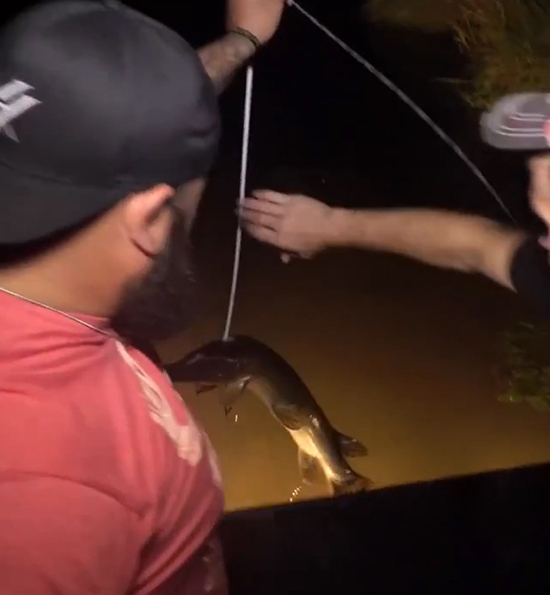 Our Louisiana bowfishing trips will take you through the bayous to catch giant alligator gar and there will be plenty of Louisiana speckled trout along the way too. We offer the best Louisiana Bowfishing in the State. 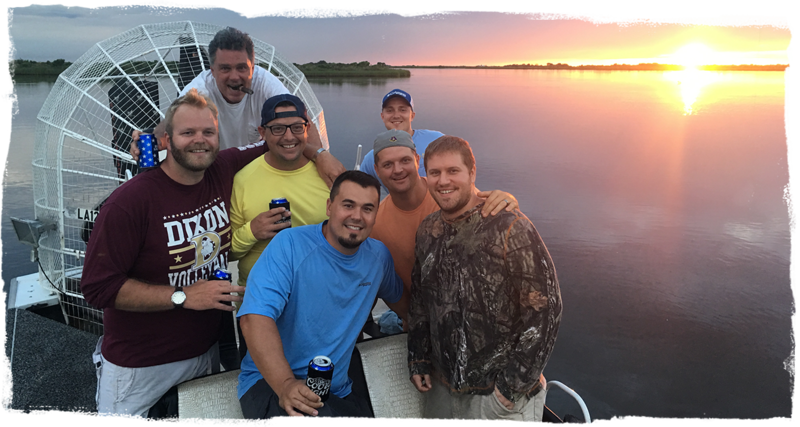 Our goal is to set you up with tools & opportunity you will need to ensure that you have an amazing time bowfishing with our guide service. Our Bowfishing trips will put you on the action quick. 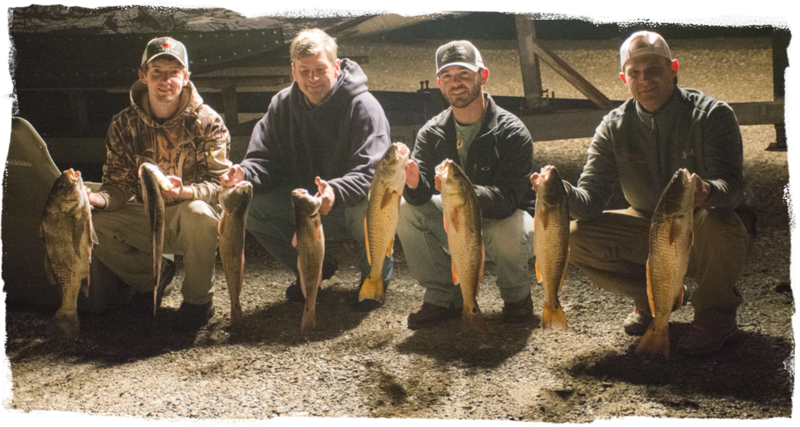 On our Louisiana Bowfishing Charters we target Redfish, Speckled Trout, Alligator Gar, Sheepshead and Much More! Give Scale Damage Louisiana Bowfishing Guide Josh Galt A Call At 504-329-0898 To Book Your Next Louisiana Bowfishing Trip. It was the first time any of our group had been fishing in the New Orleans. Captain Josh was terrific…. he worked very hard to put us on a ton of fish. The whole trip was great. We had the pleasure of fishing with Scale Damage for my Father-in-law’s 70th birthday. It was a fantastic time, and the Scale Damage crew went out of their way to make our trip memorable. 2 days fishing again with Captain Josh. The best fishing on the Bayou. What am amazing trip…We loved every minute of it! Thanks Josh for an awesome adventure!